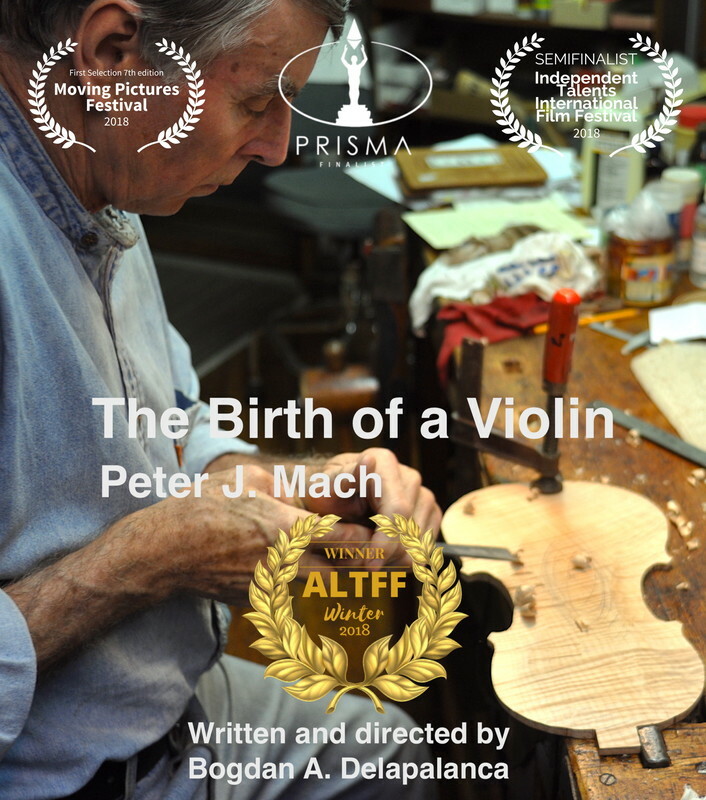 Portraying the life and work of Peter J Mach, a master lutist, “Birth of a Violin” is a short documentary that is exactly about what the title says. The interesting thing is that “birth” is usually a verb that is used to describe the coming to life of living things, and that is exactly what Peter does in the film: he treats wood like something that is alive, that vibrates with its own energy, and it manipulates it until it reaches a stage where it actually responds to Peter’s own voice. By doing so, the filmmaker succeeds in creating a living portrait of an artisan and of its craft. Even if the film is shot on a very low budget and does not shine for any particular technical reason, it has its own charm: it is really able to transmit Peter’s love for the violins he makes, like a God loves its own creature, like a creator overlooks to its creation. For all of those have never seen a master lutist at work, this beautiful film by Bogdan Delapalanca is a first starting point to try to have a little grasp of this beautiful profession.